Greenpeace has launched a campaign in Bournemouth to protect rainforests and endangered animals in Indonesia. 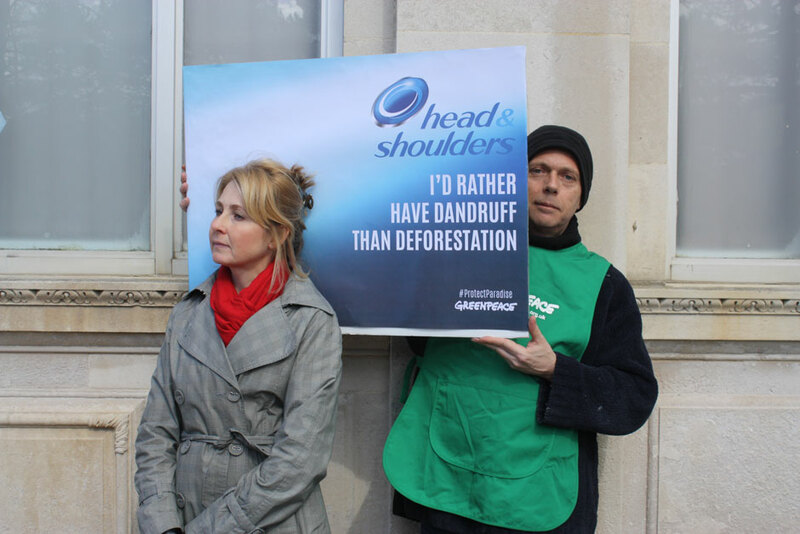 The campaign claims that Procter and Gamble (P&G) uses palm oil in products such as Head and Shoulders shampoo from companies which cause destruction to the forests, putting animals’ lives at risk. Procter and Gamble declared it has seen the Greenpeace report and will fully investigate all claims. “We are a member of the Roundtable on Sustainable Palm Oil (RSPO), and support the RSPO criteria established for sustainable palm oil. In addition, we are part of the working group on sustainable sourcing of palm oil derivatives. As part of our sustainability goals, we have committed to 100% sustainable sourcing of palm oil by 2015,” Mr Williams added. According to Greenpeace, the Sumatran tigers who live in the Indonesian forests are getting closer to extinction due to the continuous destruction of forests. Palm oil is obtained by crushing and extracting the oil from the seed of the fruit. Indonesia has 20 million hectares, which are used for oil palm.